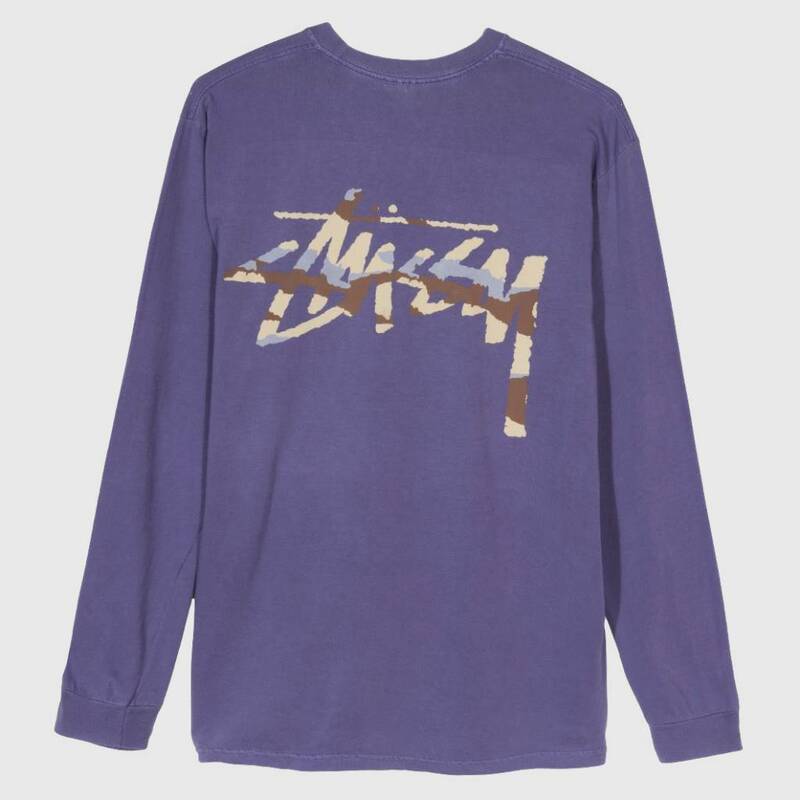 The Stüssy Pig Dyed Longsleeve Purple Camo is cut from 100% cotton jersey and individually pigment dyed for a soft, vintage effect. 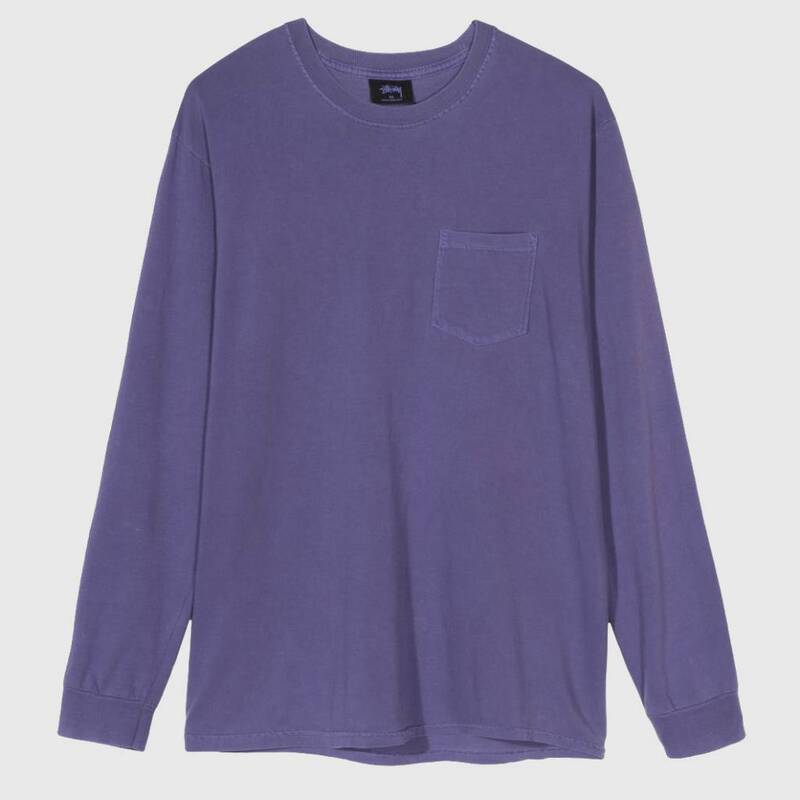 The Stüssy Pig Dyed Longsleeve Purple Camo is cut from 100% cotton jersey and pigment dyed for a soft, vintage effect. The chest hosts a single patch pocket and the back features a large Stock Logo screen-print masked in a camo motif.